The ranking of Russia’s cities in terms of ease of doing business has been compiled for the second time and the number of cities ranked has increased from 10 to 30. 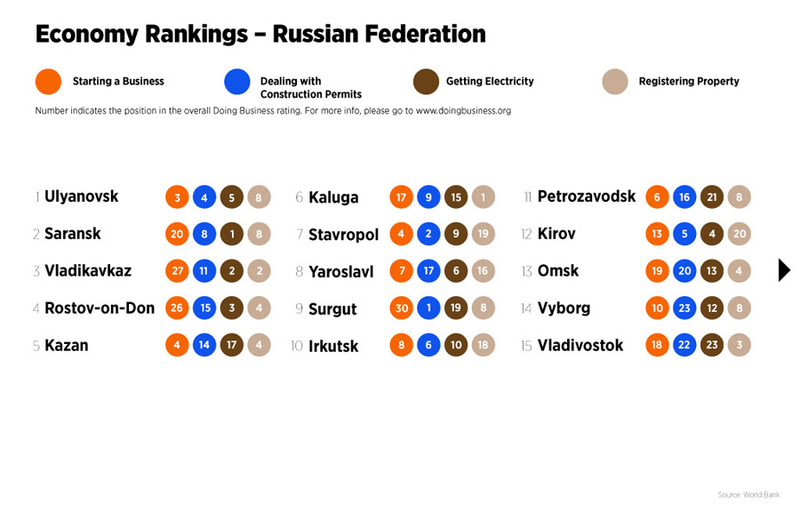 In the latest World Bank Doing Business rankings, which look into the way state regulation affects small and medium-sized businesses, Russia was ranked 120th out of 183 economies, between Cape Verde and Costa Rica. The rating led to President Vladimir Putin’s decision to focus on improving Russia’s ranking to 20th by 2018.